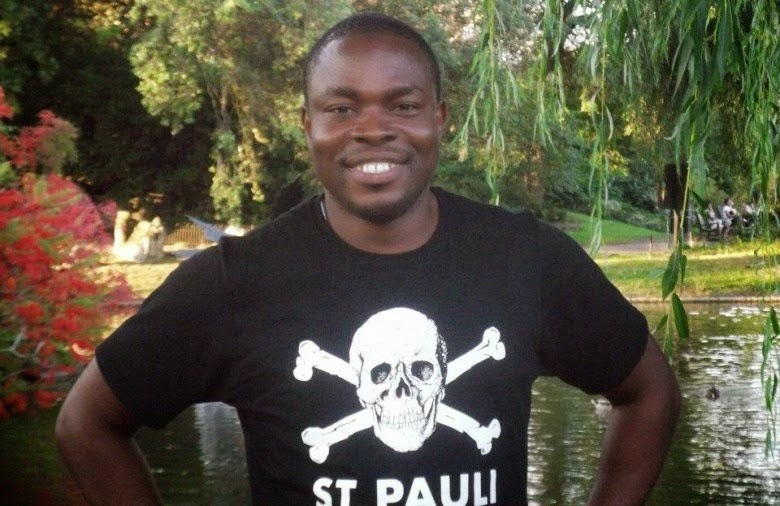 Nicholas Ibekwe is the journalist who published the audio recording of T.B Joshua offering N50k to journalists. Click here to read the full transcript. The money was tagged transport money, but the pastor also ensured the reporters understood they were to give the Synagogue Church a favorable coverage, and make it look like a guest house building collapsing on their premises was no big deal. It was finally from the SA President that we found out that the incident had claimed over 115 South Africans. See my own opinion here. Nicholas has just written a blog post that explains why he decided to become a whistleblower and release the audio. He also argues strongly on why he believes the money offered was a bribe. The last 72 hours were probably the most intense in my life. The love, kind words and support I’ve received in that period from, mostly, total strangers have been overwhelming. I want to thank everybody who saw the good in what I did. Though, to be honest, I think it was a little stupid. What was I thinking putting my life and probably my career on the line in an attempt to change something so entrenched it seems unchangeable? But really I’m not fazed by the trash talk from those allergic to the truth. It’s a long time coming and someone has to put the Big Ben on the fat cat, I guess. During the same period I’ve also been insulted like never before. I’ve been called the most uncomplimentary names and all the curses in Deuteronomy hurled towards me. They should be ashamed that the brushed ego of their spiritual Godfather meant more to them than the over 90 lives that perished under the rubble. I can deal with the trash talk and name-calling. But I’m also not naïve. I’ve made plans to evacuate my family to safety at the shortest notice in case things escalate. I hope they don’t. But one can never be so sure with these fundamentalists. They said I’m an attention freak; that I published the audio clip because I yearned to be a social media celebrity (whatever that means). Well, I won’t lie; I enjoyed the 15 minutes of fame. I loved the thrill of being in the eye of the storm. In case my accusers are reading this, I got over 2,000 followers on twitter within the period. I don’t know what to make of that yet. I’m not so sure about this Twitter thing but if there’s a way I can convert that to money, that would be something. Gbenga Olorunpomi, how much does one twitter follower exchange for a dollar these days? So why did I publish the audio? I had recorded the audio six days before posting it on Twitter. To be sincere, I didn’t think much of it until Saturday morning (I’d explain later). I was intently watching the way the collapsed building was being played out in the media after the rather disappointing way Lagos State Governor, Babatunde Fashola, dodged reporters through a back door after his private meeting with TB Joshua on September 14. I observed that Nigerian media were being too gentle on TB Joshua despite the glaring irregularities surrounding the collapse. I read more reports about the “hovering craft” and how Boko Haram could’ve sabotaged the building and other poppycock the televangelist wanted the world to believe. So when I woke up last Saturday morning and saw the picture of Jonathan shaking hands with a grinning TB Joshua with headlines like “Jonathan consoles TB Joshua,” I said damn it! I couldn’t stomach this blatant impunity. TB Joshua is perhaps the most powerful preacher in Africa and politicians all over the continent fawn at him. But as watchdogs, journalists must hold entrenched powers to account. If Nigerian politicians didn’t realise that more than 90 lives had just perished underneath a building without requisite permit and that those responsible should be held accountable, then the responsibility falls on journalists to force them to do the right thing. Journalists shouldn’t be seen or heard telling the prime suspect they would write “just like you said” after he offered to buy their consciences with N50,000. Some of the reporters who collected the N50,000 have called me after the audio went viral to complain. They told me they have been getting calls from colleagues and family members who recognised their voices in the recording. One even accused me of a breach of trust. I told him I didn’t sign a pact of silence with anybody. For me the decision was between covering the ethical shortcomings of my colleagues or doing that which is right to make sure those who died and their families get justice. The decision was easy. Why didn’t I publish the audio the same day I recorded it? Nigerian journalists habitually ask for gratification at press conferences and corporate events that it has unfortunately become a norm. Reporters actually think you’re a fool if you turned down what they call “brown envelope”. There are several excuses to justify it: “We’re poorly paid,” “We have not been paid for months,” etc. Honestly, it’s hard to dismiss some of these excuses sometimes. Nigerian Journalists are perhaps among the worst paid in the world. This is where the Nigerian Union of Journalist should do more. Its officials should stop paying courtesy calls to politicians (of course, we know what exchanges hands during these visits) and do more to force Jet-flying owners of media organisations to pay reporters more and on time. We deserve it. Journalists should also explore other related and legitimate means of making money like researching, writing and editing reports for NGOs, writing and editing of brochures and reports, working as fixers to foreign journalists, blogging (I recently met a Nigerian television reporter that make quite some money monthly from his blog), etc. Like everything in Nigeria, this “brown envelope” thing has been stretched beyond the limit of ridiculousness. I’d give some examples: On August 15, 2010 a truck belonging to Dangote Sugar Refinery caused an inferno at the Ojodu Bridge outside Otedola Estate in Lagos. More that 50 lives perished in the fire. An inquest was initiated by a non-governmental organisation, Access to Justice and Human Rights lawyer, Femi Falana. Please take a deep breath before reading the next sentence. During the inquest, officials of Dangote Industries distributed cartons of Spaghetti (and some money, probably to buy ingredients) to court reporters at the Ikeja High Court to probably skew their account of the hearing. In case you missed it let me repeat. Some Nigerian Journalists collected packs of Spaghetti as bribes! Are we that hungry? Some reporters got as little as 12 packs of spaghetti. My friend, Ben Ezeamalu, was almost beaten up for speaking against it. In fact, they erected a wall of hostility around themselves whenever he came around. According to him, a very senior journalist pulled him aside and told him it was easy for him to turn down the brown envelope because he wasn’t married and had no school fees to pay. Ben said his curiosity was aroused while he was researching for material on the internet for an article he was writing days before the coroner’s verdict on the inquest. To his surprise, there was very little material for an inquest that involved Africa’s richest man and had lasted 19 months! After the coroner delivered his verdict, in which he indicted Dangote’s company as well as the Nigeria Police, the (short) article was tucked away in a remote corner in almost all the newspapers the next day. The fact that the coroner indicted Dangote was also carefully left out in the articles. Other journalists have tagged Ben “a spy” for consistently refusing to collect “brown envelopes”. Nigerian journalists no longer know where to draw the line. A father that lost his son during last Dana plane crash was forced to pay journalists during his son’s wake-keep before it was reported. There are more puke-inducing instances but I’d stop here. For those of you saying N50,000 ($300) was too little to entice Nigerian reporters, I’ve seen reporters scuffle over N2,000 ($12) during a press conference. Editors should also monitor their reporters too, but we all know that some editors get theirs through subtler manner (Bank transfers). I’m a Nigerian journalist I want to change things the only way I know how to – going public with it. I’m not saying anything new here, everybody who has one thing or the other to do with journalists knows that these things happen. Maybe I’m the first journalist to go public with it in such a manner. Corporate organisations and individuals should also stop offering these bribes (I still insist that they are bribes and nothing else). Journalist will report your events whether they like it or not. They want to stay in business. My heart skips anytime I get a call from my editor or receive that email with a subject that reads: “Pending stories”. I know I’m required to deliver. I don’t need that “brown envelope” to turn around that copy. I know in the Punch for instance, reporters are required to fill a certain number of pages every week. They can’t sit around waiting for “money to fuel your cars” to write stories to fill those pages. The threat of losing one of the most lucrative jobs in the industry is enough “inducement”. But the truth is most pressers aren’t news worthy so PR officials feel they need to induce reporters to write about them. And for the fundamentalist followers of TB Joshua, this isn’t about your spiritual Godfather. I would still have gone public with this if the Pope was involved. I can’t say I’m sorry that his ego was bruised. He clearly meant for the money to influence the reporting of the event. “So what are you going to write?” He had asked. That makes it a bribe. Simple. I can’t help you if you couldn’t decipher that. I’m a reporter not a brain surgeon. This is the last I’m going to say on this issue unless something drastic happens. Let the personal attacks continue. Good for him. The first thing I thought when I heard the audio recording was "even the moral conscience of the nation (its journalists) has gone to rot". I'm glad he was ballsy enough to do this and I pray for the protection of him and his family.